B. Manohar, J. – The revenue has preferred these two appeals under Section 260-A of the Income Tax Act, 1961 (for short ‘the Act’) being aggrieved by the common order dated 27-2-2007 made in ITA Nos.187 & 188/Bang/2006 passed by the Income Tax Appellate Tribunal, Bangalore Bench ‘B’ (hereinafter referred to ‘the Tribunal’) wherein the Tribunal had allowed the appeal filed by the respondent-assessee setting aside the order passed by the Commissioner of Income Tax, Mangalore under Section 263 of the Act upholding the order passed by the Assessing Officer for the assessment years 2000-01 and 2001-02. The respondent-assessee is a Charitable Trust running a large number of Institutions such as Fr. Muller General Hospital, Fr. Muller Medical College, Fr. Muller Homeopathy Medical College, Pharmaceutical Division, St. Johns Leprosy Hospital, Rehabilitation Unit and Father Muller College of Nursing. The assessee-Trust claimed exemption under Section 11 of the Act. For the assessment year 2000-01 and 2001-02, the assessee filed ‘Nil’ return of income on 31-10-2001 claiming exemption of income. On the basis of tax evasion petition received by the Additional Commissioner of Income Tax, an enquiry was conducted and notice under Section 148 of the Act was issued for both assessment years. During the course of enquiry, the Assessing Officer noticed that the assessee-Trust had advanced a sum of Rs.30,00,000/- during the assessment year 2000-01 and a sum of Rs.50,00,000/- during the assessment year 2001-02 respectively to M/s. Janamadhyama Prakashana Limited which was running Kannada daily known as JANAVAHINI. Before the Assessing Officer, the assessee has contended that the said amount was advanced to M/s. Janamadhyama Prakashana for the purpose of advertisement, printing and publicity of the programmes of the Trust. The Assessing Officer on verification of the records and the balance sheet of the Trust found that the said amount was mentioned under the head loans and advance’. Advancing of the such a huge amount is in violation of Section 11(5) of the Act. Hence, the assessee is not entitled for exemption for the said amount. Accordingly, the Assessing Officer by giving elaborate reasons by its assessment order dated 29-5-2005 held that the amount given to M/s. Janamadhyama Prakashana Limited as advance infringes provision of Section 11(5) of the Act. Hence, the said amount is liable to be taxed. The assessee being aggrieved by the assessment order passed by the Assessing Officer preferred an appeal in F.No.1/263/CIT/MNG/2005-06 before the Commissioner of Income Tax (Appeals), Mangalore (‘CIT for short). When the said appeal was pending before the CIT, the Commissioner in exercise of his suo-motu power under Section 263 of the Act issued show cause notice stating that the assessment order passed by the Assessing Officer is erroneous and prejudicial to the interest of the revenue and Assessing Officer ought to have assessed the total income of the Trust under Section 13(1)(d) of the Act and not only the amount advanced to M/s. Janamadhyama Prakashana Limited. 3. In pursuance of the notice issued by the Commissioner, an authorized representative of the assessee entered appearance and filed objections. The Commissioner of Income Tax after considering the matter in detail found that in violation of Section 11(5), a sum of Rs. 80,00,000/- was advanced to M/s. Janamadhyama Prakashana Limited, which was a sinking company. Subsequently, the said Prakashana was closed down. In view of Section 13(1)(d) of the Act, total income of the Trust has to be assessed for the tax in view of the said violation. The Commissioner by an order dated 27-12-2005 held that the assessment order dated 29-03-2005 passed by the Assessing Officer is erroneous and prejudicial interest of the revenue. Accordingly, set aside the assessment order passed by the Assessing Authority with a direction to the Assessing Officer to assess the entire income of the respondent-assessee after giving opportunity of hearing. The assessee being aggrieved by the order dated 27-12-2005 preferred an appeal before the Tribunal. The Tribunal after considering the matter in detail and on examining Sections 11, 12, 13(1)(d) and Section 164(2) of the Act held that the order passed by the Commissioner of Income Tax is contrary to Section 164(2) of time Act and the entire income of the respondent-assessee cannot be assessed. The Tribunal also held that invoking of power under Section 263 is contrary to law and every error committed by the Assessing Authority cannot be corrected by invoking Section 263 of the Act. Accordingly set aside the order passed by the Commissioner of Income Tax and restored the order passed by the Assessing Officer. The revenue being aggrieved by the order passed by the Tribunal, filed this appeal. (i) Whether the Tribunal was correct in holding that when two view are-.possible and if one view is taken b the Assessing Officer the same cannot be set aside by the Commissioner of Income Tax exercising the power under Section 263 when the said view is prejudicial to the interest of the revenue? (ii) Whether the Tribunal is correct in holding that when a part of income is held to be violative of the provisions of Section 13(1)(d) only to the said extent maximum marginal rate of tax is to be levied and not for ‘the whole income more particularly when there is violation of provisions of Section 11(5) of the Act? 5. Sri. E.R. Indra Kumar, learned Senior Counsel appearing for the revenue contended that the order passed by the Tribunal setting aside the order passed by the Commissioner of Income Tax is contrary to law. The Tribunal has failed to consider the fact that if the case is covered under Section 13(1) of the Act, nothing contained in Section 11 or 12 shall operate to exclude from the total income of the previous year of a person in receipt thereof. 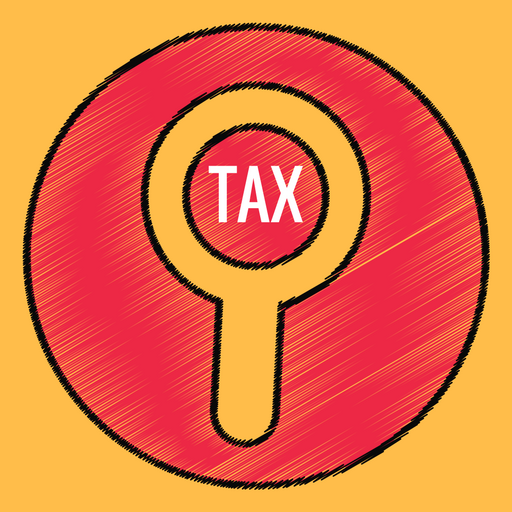 Once the Assessing Officer holds that the assessee has contravened the provision of Section 13(1)(d), the Assessing Officer should have held the entire income of the Trust as taxable. The reason assigned by the Tribunal for; setting aside the order passed by the Commissioner is contrary to law. Further, under Section 263 of the Act, if the Commissioner is of the opinion that any order passed is erroneous insofar as it is prejudicial to the interest of the revenue, he may, after giving the assessee an opportunity of being heard, pass such order, as the circumstances of the case justifies. In the instant case, the Commissioner, exercising his revisional power, corrected the order passed by the Assessing Officer which was prejudicial to the interest of the revenue. The finding of the Tribunal that the Commissioner has erroneously invoked the revisional power is contrary to law and sought for setting aside the same. 6. On the other hand, Sri. S. Parthasarathi, learned counsel appearing for the assessee argued in support of the order passed by the Tribunal and contended that in view of Section 164(2) of the Act, the entire income of the Trust cannot be brought to tax. Further, on the basis of the opinion of the Commissioner, the power under Section 263 cannot be invoked to correct each and every type of mistakes and error committed by the Assessing Officer. Sri. S. Parthasarathi, relied upon following judgments in the case of DIT (Exemptions) v. Sheth Mafatlal Gagalbhai Foundation Trust  249 ITR 533/114 Taxman 19 (Bom.) and in the case of DIT v. Agrim Charan Foundation  253 ITR 593/ 119 Taxman 569 (Delhi) and sought for dismissal of the appeal. 7. We have carefully considered the arguments addressed by the learned counsel for the parties and perused the orders impugned in these appeals. 8. The records clearly disclose that the respondent- assessee is administering number of institutions and it had obtained exemption under Section 11 and 12 of the Act. The assessee filed Nil return of income for the aforesaid assessment years. On the basis of the tax evasion petition, an-enquiry was conducted and during the course of assessment proceedings, the Assessing Officer noticed that the respondent-Trust advanced a sum of Rs.30,00,000/- during the assessment year 2000-01 and advanced another sum of Rs.50,00,000/-during the assessment year 2001-02 to M/s. Janamadhyama Prakashana Limited, which was running a Kannada daily known as “Janavahini”. In the balance sheet of the respondent-Trust, the said amounts were mentioned under the head known as “loans and advances”. The Charitable Institution, advancing loan amount to M/s. Janamadhyama Prakashana Limited and obtaining exemption in payment of income tax is in violation of Section 11(5) of the Act. As per Section 13(1)(d), income of the Trust shall not be entitled for exemption under Sections 11 and 12 of the Act. Accordingly, the Assessing Officer assessed the advance made to M/s. Janamadhyama Prakashana Limited for tax Being aggrieved by the said assessment order, the respondent-assessee preferred an appeal before the Commissioner of Income Tax. The Commissioner of Income Tax, after verification of the records of the Assessing Officer found that the order passed by the Assessing Officer is erroneous and prejudicial to the interest of the revenue. Accordingly, initiated the proceedings under Section 263 of the Act. The Commissioner was of the opinion that in view of violation of Section 11(5), the entire income of the respondent-Trust ought to have been assessed and they are not entitled for any exemption under Sections 11 and 12 of the Act and revised the order passed by the Assessing Officer. The said order was questioned before the Tribunal. The Tribunal allowed the appeals and set aside the order passed by the Commissioner of Income Tax under Section 263 of the Act. Being aggrieved by the said order, the revenue preferred these two appeals. 10. We respectfully agree with the order passed by the Division Bench of this Court. The law declared by the Hon’ble Supreme Court made it very clear that if one of the requirements for satisfaction of taking action under Section 263 of the Act is absent, then recourse cannot be made to Section 263 of the Act. The Commissioner cannot invoke his revisional power to correct each and every type of mistakes committed by the Assessing Officer. Accordingly, the first substantial question of law is held against the revenue and in favour of the assessee. A similar view has been taken by the Delhi High Court in a judgment reported in Agrim Charan Foundation (Supra). Reading of the proviso to Section 142 is very clear that the legislature has clearly contemplated that in a case, where the whole or part of the relevant income is not exempted under Section 11 by virtue of violation of Section 13(1)(d) of the Act, tax shall be levied on the relevant income or a part of the relevant income at the maximum marginal rate. The said analogy is applicable to the facts of the present case. 12. We are in respectful agreement with the views expressed by the Bombay High Court as well as Delhi High Court for violating Section 11(5) of the Act and the entire income of the respondent-Trust cannot be assessed for the tax. 13. We do not find any infirmity or irregularity in the order passed by the Tribunal restoring the order passed by the Assessing Authority. Accordingly, both second and third substantial questions of law are answered against the revenue and in favour of the assessee. Accordingly, both the appeals are dismissed. This entry was posted in Section 11, Section 13 and tagged 363 ITR, In favour of Assessee, interest of revenue, Karnataka High Court.